S 1/c Edward H. Parnell, son of Mrs. Ruby Ash, attended Frederick High School. 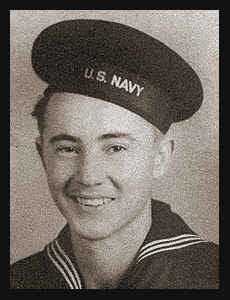 Entered Navy in March 1941, trained in San Diego, Cal., and Seattle, Wash.; served in Australia, Hawaii, New Caledonia and S. America; was wounded in New Caledonia; was discharged in 1943. Awarded Asiatic Pacific Ribbon with one Battle Star.